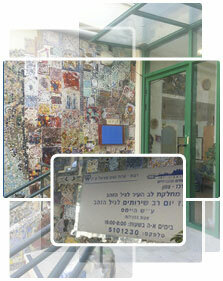 HaKerem Multi-Service Day Center for Seniors, located in southern Tel Aviv’s Kerem HaTeimanim neighborhood, offers a wide variety of services for senior citizens - most of whom reside in its vicinity. Benefits for members include hearing and eyesight checkups and the services of a professional nurse, as well as counseling on nutrition, safety and health in old age. The center also offers an extensive selection of social and cultural activities, which alleviate the seniors' loneliness and contribute a great deal to their quality of life.